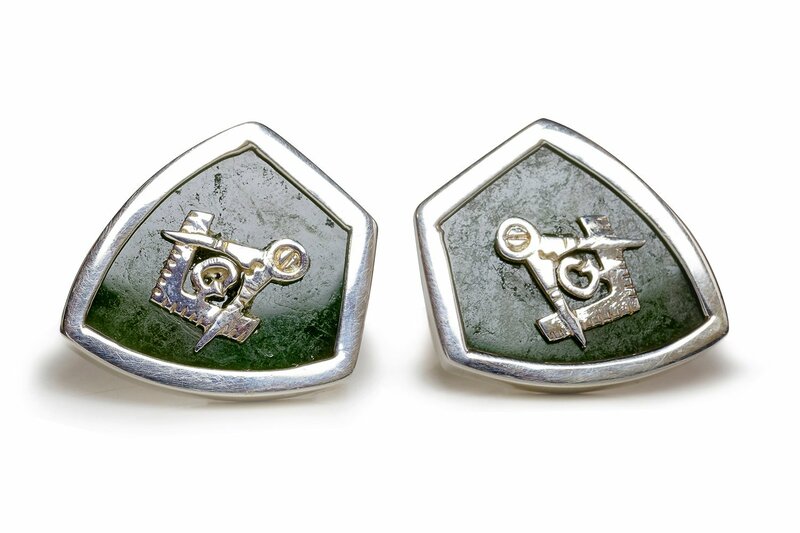 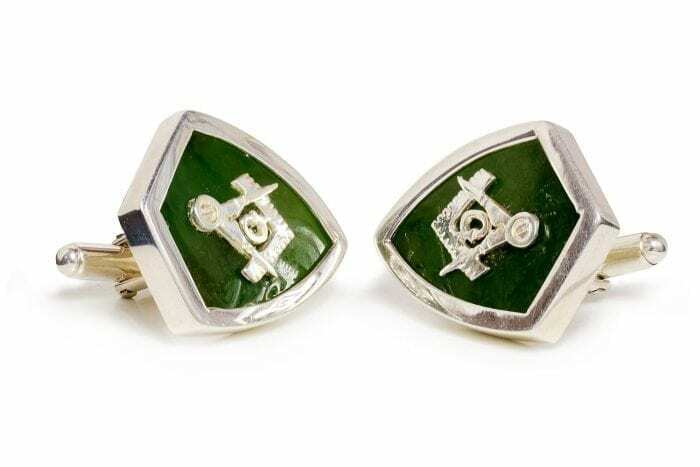 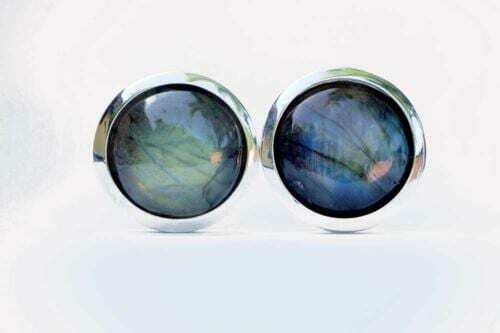 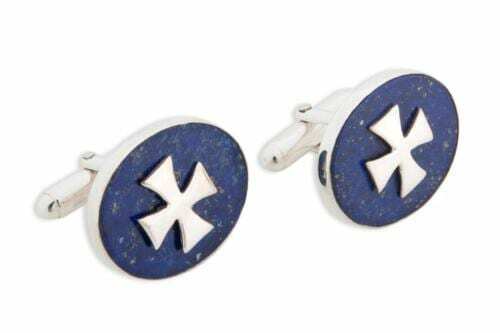 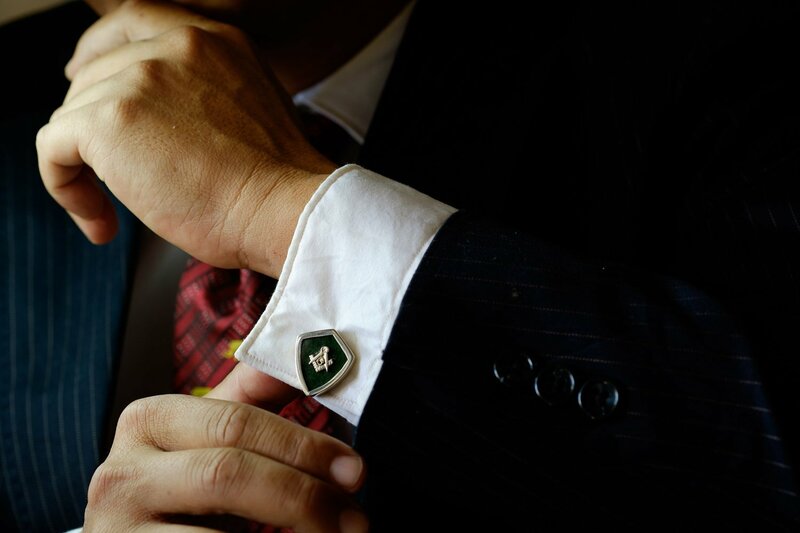 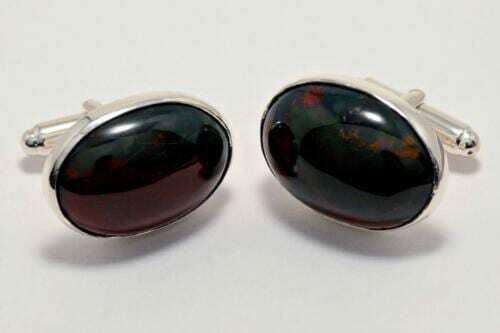 Canada Jade cufflinks overlaid with heraldic Masonic in sterling silver. Impressive, memorable. 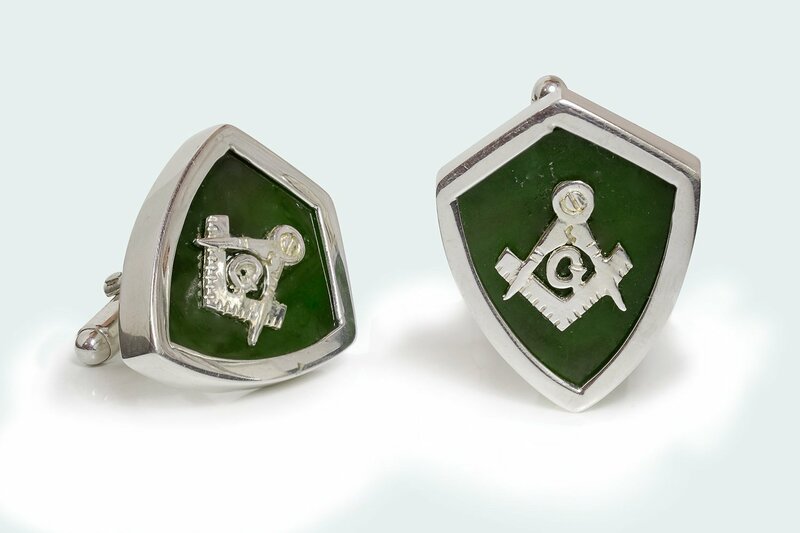 The shield shape measure 29 x 24 mm (1 1/8 x 15/16 Inch). 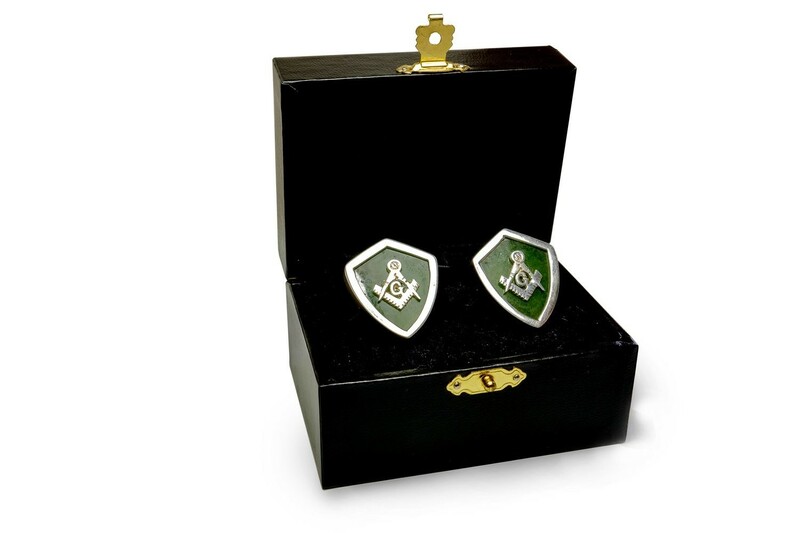 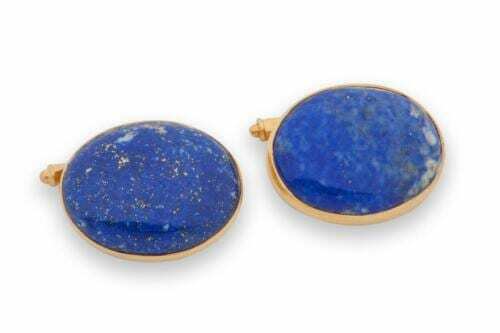 Very big size and Smart, distinguished and a memorable gift.